Apex Legends, a new take on battle royale was released by EA and Respawn Entertainment last week. And in just three days after its release, the game had 10 million registered players logging in and playing online. 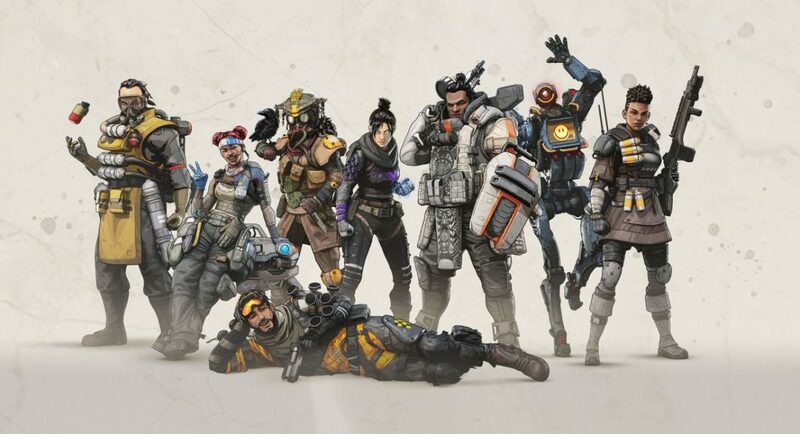 Now, a week after its release, Apex Legends has registered more than 25 million players, according to the game maker Respawn Entertainment. These numbers show how popular the newly-released game has become. Players of PUBG and Fortnite, the games which are currently the leaders of the genre, are also giving Apex Legends a try. Respawn’s CEO Vince Zampella tweeted that the game has recorded ‘well over’ 2 million players over the weekend. According to the company, they were experimenting with the genre and were trying something new, but even they had no idea it would instantly explode in the popularity charts. If we compare Apex Legends with its competitors – Fortnite and PUBG – we see that the game is doing extremely well in its early months of release. It was only after four months of its release that Fortnite was able to see 45 million registered players and PUBG also had a similar growth chart. Currently, both the games have more than 200 million players each, so it will be interesting to see how Apex Legends competes with them. Both Fortnite and PUBG now have their mobile versions for iOS as well for Android and it was their release on the mobile platforms that made the games’ downloads and popularity surge so much. Both the games also have cross-platform and cross-progress features which means that they can be played on different consoles using the same ID without the loss of the in-game progress. But we won’t be seeing any smartphone version of Apex Legends anytime soon as the company wants to keep it limited to the big screens. But then, there will be a time when the number of console and PC players for the game would stop increasing at the same pace as it is doing today. Maybe then we would get to see a smartphone version of the game, which is likely to increase the popularity of the game. Respawn Entertainment or EA have other plans for Apex Legends. To begin with, they are planning to start a e-sports Apex Legends Tournament later this month. Furthermore, a Valentine’s Day themed loot will be rolled out in the game this week. The first season of the game is set to begin in March with battle pass subscriptions. So, it would be really exciting to see the progress the game makes, and if it would it be able to top off and take over the current leaders of the ever-popular battle royale genre.